This month, our creative director Elle decided to shoot a bridal editorial that was close to her heart. Inspired by the freedom that the ocean has to offer, her 'Wild Romantic' editorial is a combination of beauty, freedom and ultimate connection. 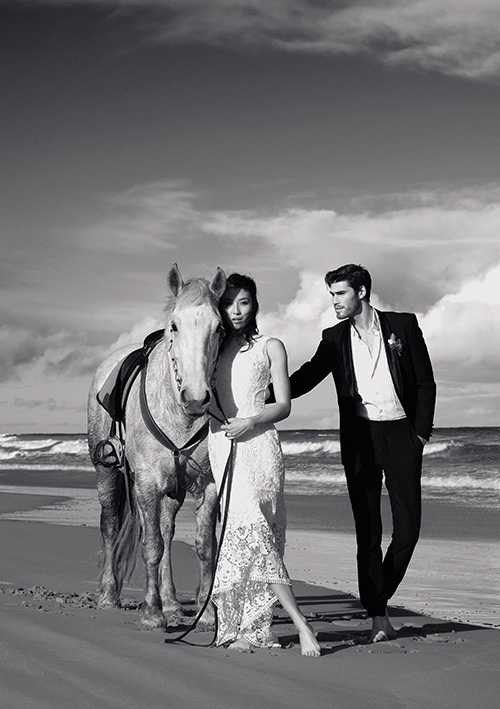 'Wild Romantic' was shot in Fairheaven, Victoria where the heavens showered us with beautiful crystal blue skies and magical shimmers of majestic waves. We can't wait to share this editorial with you all. We would love to thank our very talented team of creatives. A very big thank you to Nicole who went above and beyond to ensure that Misty the horse had her 'A Game' on for our shoot.